Description: A new Skin Care treatment formula, infused with Cocoa Butter to combat dry skin! 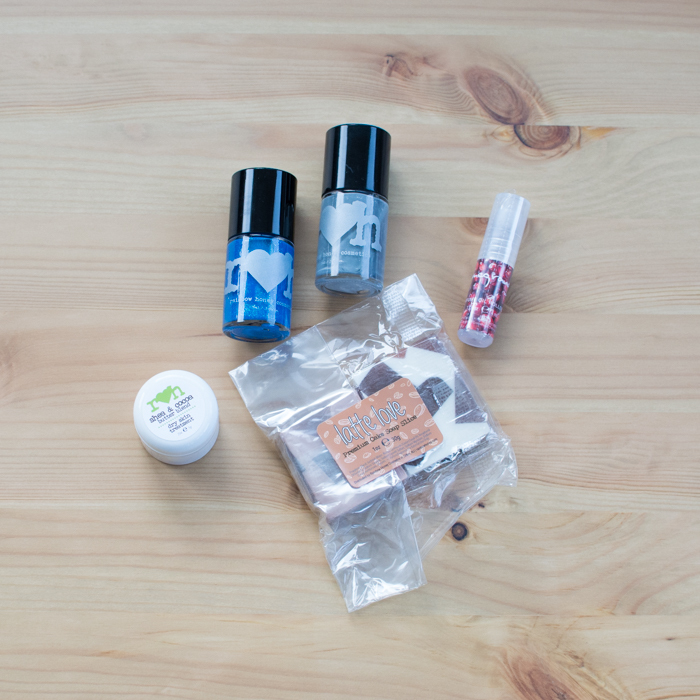 Use on lips, hands, elbows, knees, feet or any dry spot! We’ve been working with Shea butter for a long time, but we couldn’t be more excited about this new blend…Experience the benefits of organic shea and cocoa butter! // HOW TO: Apply organic shea and cocoa butter treatment onto skin and massage well for full absorption. Towel off excess oils, reapply as often as you like. To help heal hands and feet, we suggest exfoliating skin, followed by a generous application. This blend is very thick, but also easy to rub into my skin. Bonus?! It smells like chocolate thanks to the cocoa butter. Description: They are the largest mammals to have ever lived the earth and they live in the open seas from the Northern and Southern Poles all the way to the tropical regions! They are majestic blue whales, hunted down mostly for their blubber and meat until near extinction. We pay tribute to this gift from the ocean with a gorgeous blue lacquer packed with sparkling shimmer and our contribution to saving the blue whale by adopting one! You can adopt one too! Visit World Wildlife. If you like blue nail polish, this is a good one. It’s a light cerulean blue packed with shimmers. Description: A brand new creme formula featuring a dreamy smokey grey, you can wear alone or create stunning nail art designs with this staple color! Our new creme formula is coming soon in 2016 and will feature a variety of cool to dark shades. We had a summer full of wildfires in the Pacific Northwest, but I still love this smokey grey color. It’s a perfect Go Cougs! grey. 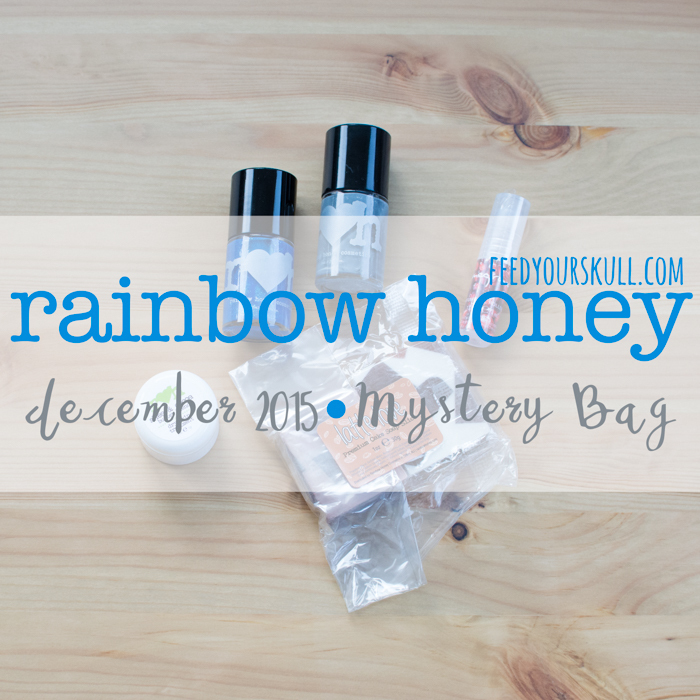 Description: We couldn’t resist including a slice of soap cake to this month’s mystery bag. 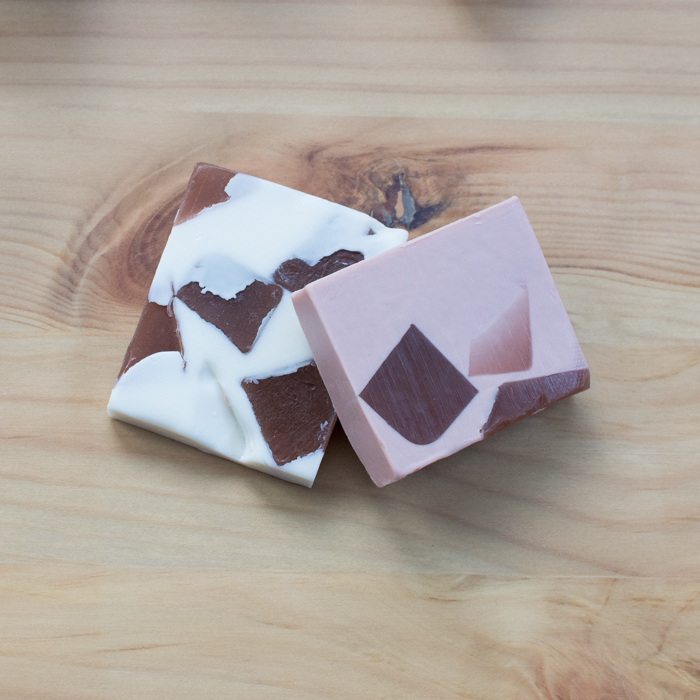 Our premium cake soap slices provide a creamy lather and foamy big bubbles that cleanse and moisturize skin while delighting your senses with our fan favorite, Latte Love! Mmmm it smells like coffee and looks like a cross between Spam and a Picasso painting. Description: Our silky soft, perfume oil rollerball leaves behind Juicy Pomegranate blended with mint leaves, sugar cane and lime slices! This seasonal mojito rollerball is part of a lineup of new rollerballs for 2016! A must have for any occasion. 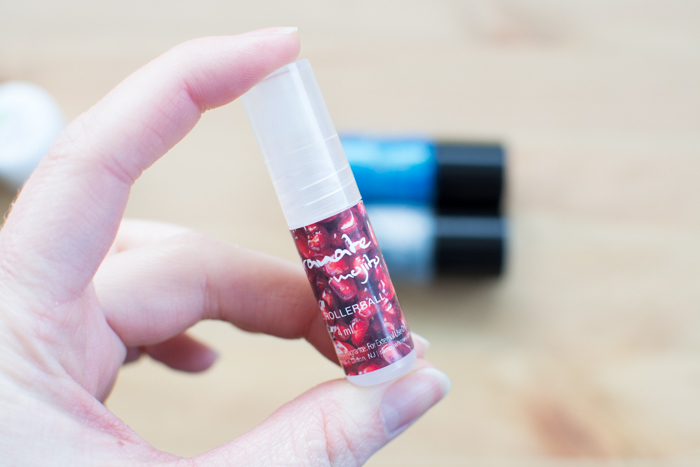 I love their perfume oils and this fruity pomegranate scent is divine. Love that it moisturizes at the same time.